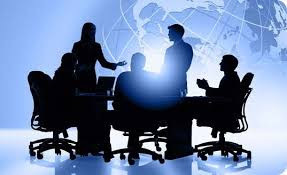 In this article we will study Directors : Powers of Board of Directors and Personal Rights. we will discuss about Powers of company directors, Managing directors according to companies act, 2013 and also discuss their personal rights in a company and Power and rights are required to company Directors. Powers exercisable at the Board meeting. Powers exercisable with the consent of general meeting. Powers exercisable with the consent of the central Government. (A). Powers exercisable by majority. (B). Powers exercisable by unanimous votes. In company board of directors shall exercise powers by passing resolution by majority at board meeting. To make calls on shareholders. To authorise buy-back of securities. To issue securities, including debentures. To grant loan or give guarantee. To approve financial statements and Boards report. To diversify the business of the company. To approve amalgamation, merger or reconstruct. The following powers exercised only passed by the board of directors in unanimous resolution at board meeting. To make inter-corporate loans and investments. To appoint or employ a person as managing director who is already holding office. To sell, lease or otherwise dispose of the whole or substantially the whole to undertake company. To invest otherwise the securities amount compensate by it as a merger or amalgamation. To give time for the repayment of any debt. To contribute to bona fide charitable and other funds. In a company , some time company has no profits to pay its directors including managing directors, whole time directors or managers by way of remuneration any sum. To participate in board meeting. To get notice of the Board meeting. To inspect minute book of board meeting. To inspect books of general meeting. To inspect books of accounts. To charge fee for rendering professional services. So we have studied Directors : Powers of Board of Directors and Personal Rights and if you have any queries please let us know in the comments section.